﻿A weekend of yoga, kirtan, meditation, nature, delicious food and great company in beautiful Glastonbury. We have been running retreats for many years at Shekina Yoga Retreat... it is certainly one of our favourite places. Very quickly the relaxed atmosphere settles you into your retreat... the primary focus is you... its your time to immerse into traditional yoga practices such as Hatha Yoga, Meditation, chanting mantras, kirtan (devotional singing). Alison will be hosting the retreat and looks forward to welcoming all of you. The retreat is open to all levels of practitioner. Have a look below for our full and varied daily programme. 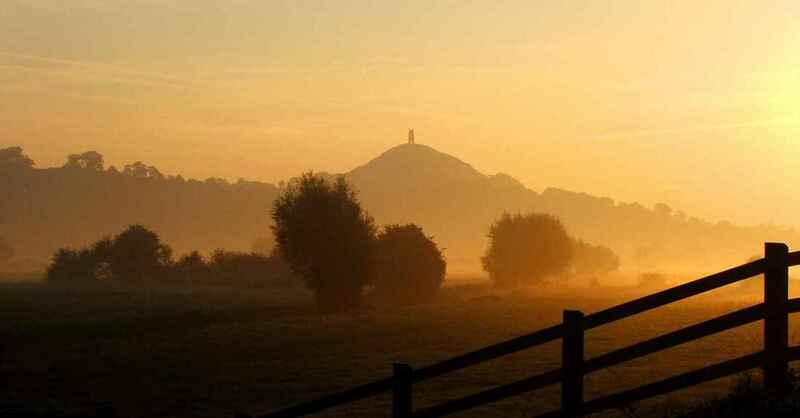 The surrounding countryside is lush and green and we are just a short walk away from Glastonbury's legendary Tor and the historic town centre. Flowing traditional hatha yoga sessions will naturally open the heart and nurture you to a space of surrender and stillness. Practices will be intuitive, strong, deep and supportive and cater for all levels from the novice to the seasoned practitioner. A typical class will include asana (postures), pranayama (breathing exercises), hands-on adjustments, guided relaxation, chanting and a taste of philosophy. The schedule also includes kirtan, puja, devotional chanting of mantras and some talks/readings about inspiring yoga philosophy. There will be plenty of time for you to indulge in a massage or you may like to relax and steam detox in the sauna or simply curl up with a book, the choice is yours. Please see below for an example of the retreat schedule. Glastonbury's lengthy history can be explored walking around its well-preserved town centre, which is home to a number of secluded churches and a town hall dating back to the early 1800s. There will be an opportunity to walk up the Tor and to fill your water bottle with the refreshing white and red spring waters. Arrival time on Friday is from 2pm onwards and the first yoga class will be at 4pm. On Sunday the retreat will finish by 4pm.